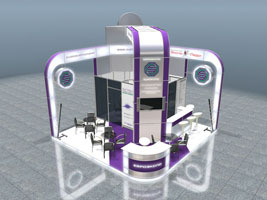 The EuroexpoStand company has produced its own exclusive booth (ProMediaTech-2010). 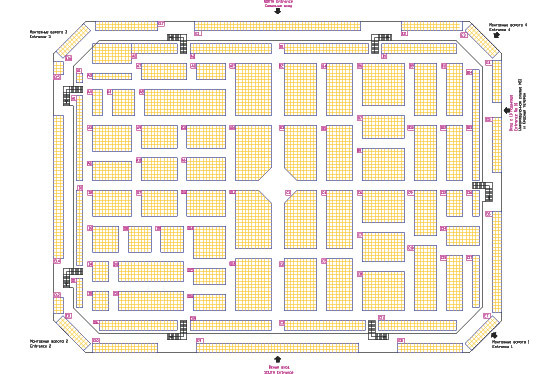 Booth area is 64 square meters. Configuration - peninsula. 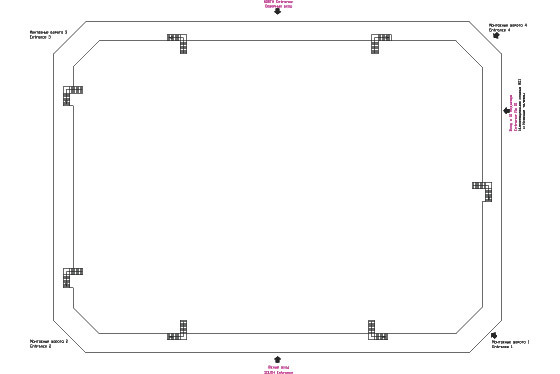 Rear surface, utility area and structural base of a light box - the MERO R8 kit. Main part (frame and pylons) - the MERO M12 kit which allows creating complex architectural shapes. Pasting and the four-color process also are used. 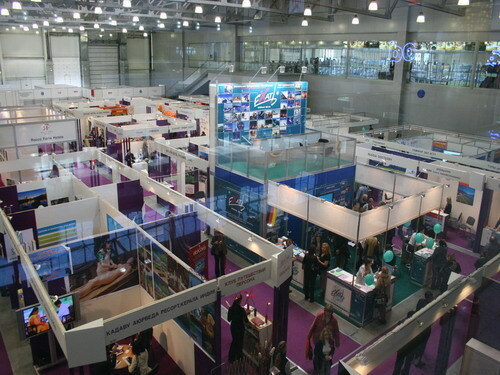 Exclusive exhibition booths and displays. Excusive exhibition booths and non-standard displays are a basic line of the EuroexpoStand company team's work. Design Studio is three-dimensional planning of exhibition booths and displays - a full work package. 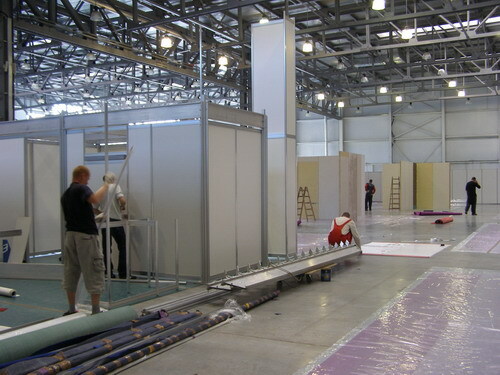 The department of construction of exhibition booths and displays - the assembly and handling of orders for the construction of exhibition booths in Russia and the handling of orders, including an assembly at the exhibition site. 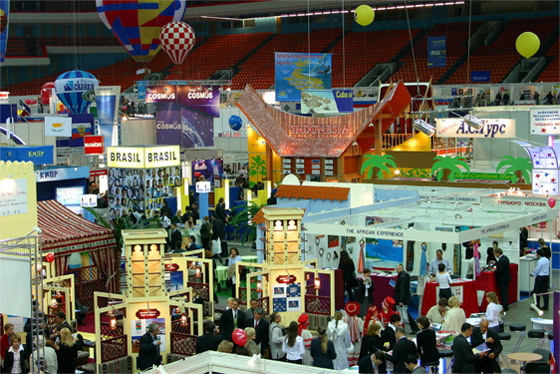 The department of foreign construction - the assembly and handling of orders for the planning and assembly of exhibition booths and displays abroad and the handling of orders, including an assembly at the exhibition site. 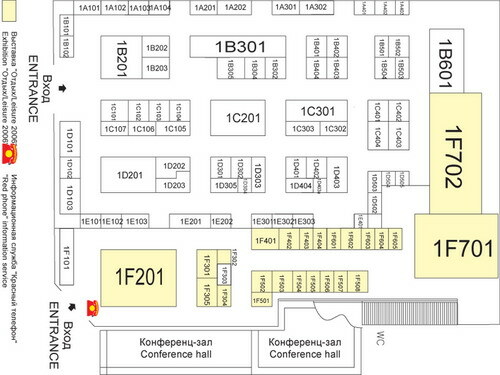 The Design Bureau - the preparation of exhibition booth technical documentation, drawings and assembly plans. Technical managers department - preparation of assembly documentation taking into consideration the features of exhibition sites. Art department - full cycle of operations for exhibition decoration: from plotter cuts of framed captions and logos to full color printing of posters and banners and assembly of volume logos. Production department - warehousing, transportation and manufacturing base, exhibition equipment from the lead manufacturer, the MERO Ausstellungs-Systeme. A full complex of organizational and technical operations and a professional exhibition service are the fundamental principles of this sector's operation. The construction of exhibition displays based on non-standard designs and architectural decisions has been evolving actively in our company in recent years. The EuroexpoStand company's evolving production structure and a highly qualified team of assemblers allow us to monitor and equip displays with an area of more than 10,000 square meters. Some of our work is presented in the gallery of booths and displays.